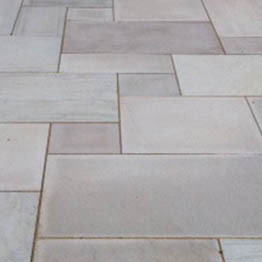 The Sawn & Sandblasted Bondi Bullnosed Step is a best seller. 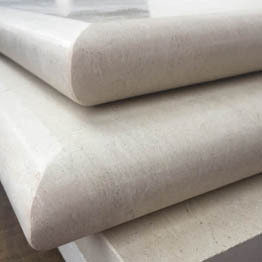 The 1 metre long steps with their 400 mm treads and 40 mm thickness make these substantial pieces of stone which are sure to impress. We can use even larger slabs to create curved steps which, when cut to concentric radii, create a truly unique feature in your garden. These natural stone pieces derive their name from the fine sands of Bondi Beach.